4-ply, 10-hole pickguard for '62 American Vintage Jazz Bass, American Series Jazz Bass, American Standard Jazz Bass, Standard Jazz Bass, and Deluxe Series Jazz Bass. Will not fit 5-String Jazz Basses. 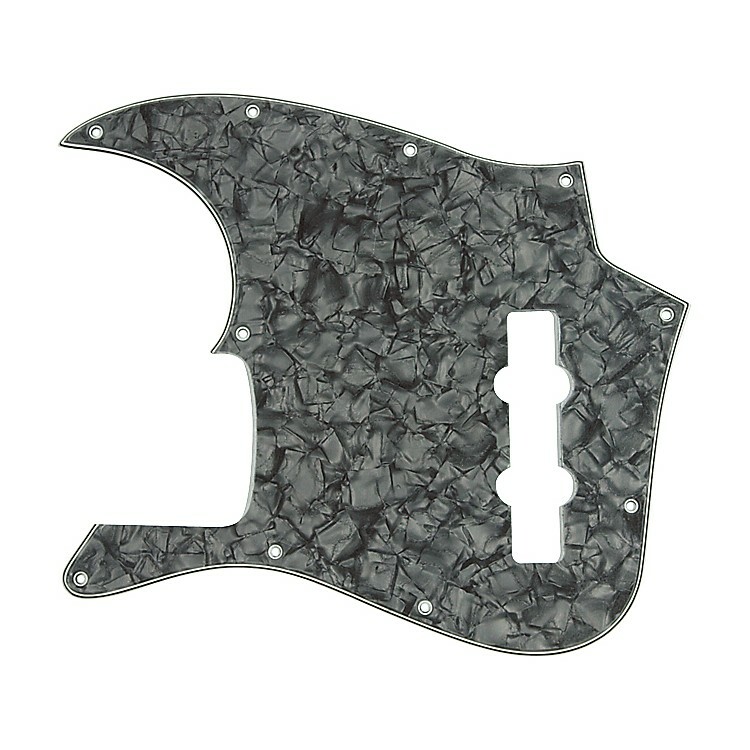 Similar to the '62 Jazz Bass Pickguard minus the holes for the pickup cover and thumbrest, and the 11th mounting screw above the rhythm pickup. Some pickguards are notched for heel-mounted truss rod adjustments.